At Spicy Pickle™ feeding a mess of people doesn't mean taking a mass approach. 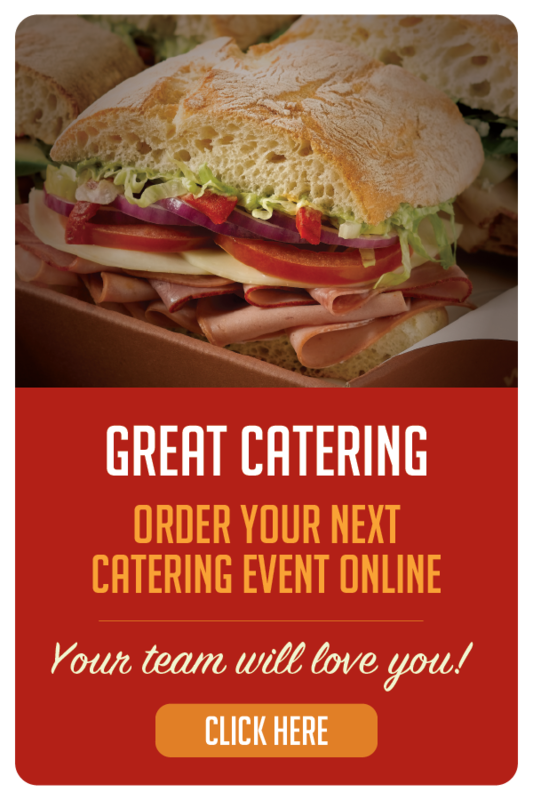 That's why we build every catering order from scratch. We start with fresh baked artisan breads, pile on the very best meats, cheeses and veggies, then we top it all off with our amazing homemade spreads. For general inquiries please fill out the form below. Or, to get started with an online order, click here and voila! You are on your way to a great day! Thank you for your interest in Spicy Pickle Catering. We will be in touch with you soon. We respect your privacy and will never rent or sell your information. You must be 18 years or older to join/participate. By providing your e-mail address or phone number you are opting-in to receive e-mail or text messages from our company and you may ask to stop receiving messages from us at any time. Message and data rates may apply. Spicy Pickle™ restaurants serve high quality meats and fine Italian Artisan breads along with a wide choice of 10 different cheeses, 21 different toppings, and 15 proprietary spreads to create healthy & delicious panini and sub sandwiches with flavors from around the world.